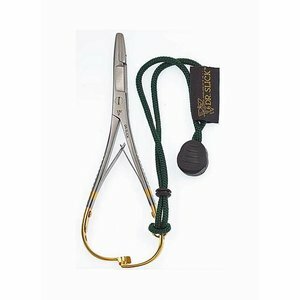 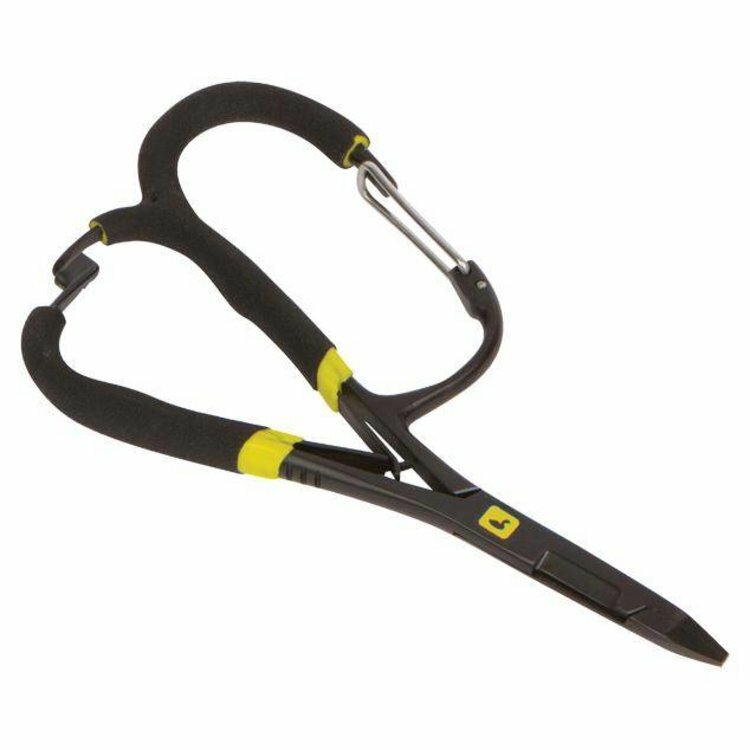 Loon Quickdraw Mitten Clamps, The ultimate mitten clamp, thoughtfully designed from the tips to the jaws to the handle. A carabiner handle means you can clip anywhere for easy access . Loon Quickdraw Mitten Clamps, The ultimate mitten clamp, thoughtfully designed from the tips to the jaws to the handle. 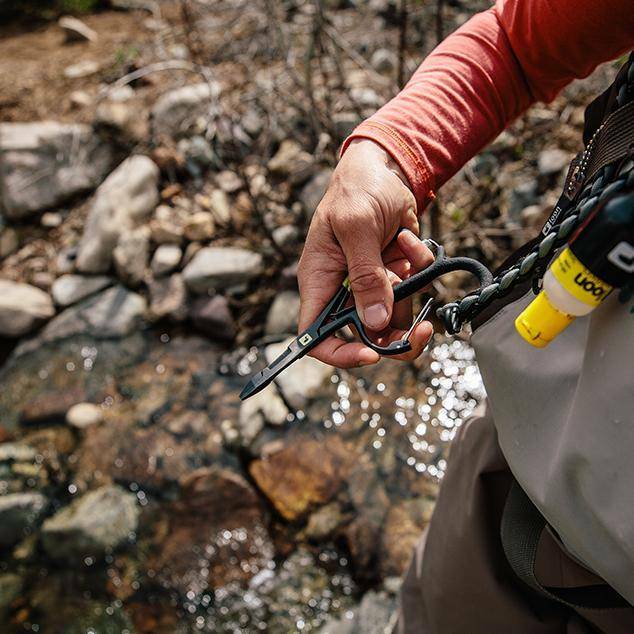 A carabiner handle means you can clip anywhere for easy access and the tight angles and engineered shape accommodate all fly sizes, allow for easy hook removal, and can crimp even the heaviest of barbs. 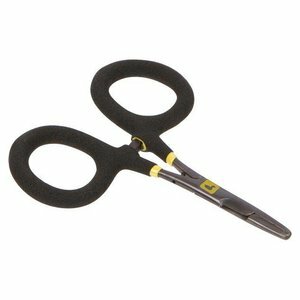 Oversized thumb and finger holes accommodate large or gloved hands, and the compact cutting surface easily clips light or heavy leader.